Earlier today we wrote about Volkswagen's Tarok truck concept unveiled at the 2018 São Paulo Motor Show in Brazil; in fact, the Tarok isn't the only funky concept truck shown at the show. Nissan brought in a customized version of the 2014-on Frontier, called the Frontier Sentinel. 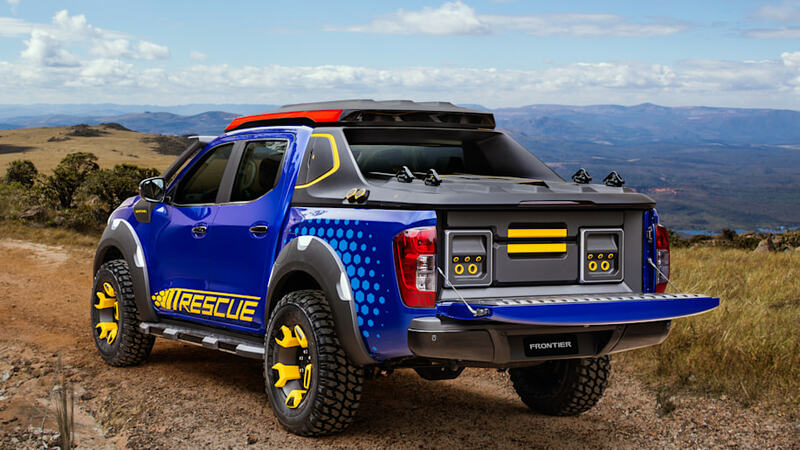 The Frontier Sentinel concept is Nissan's idea of a next-decade rescue truck. 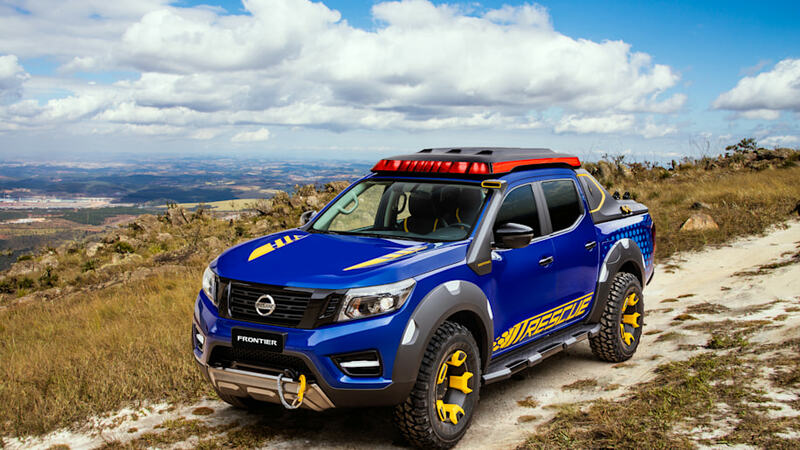 As well as a snorkel, a winch and a special lighting system, the Sentinel gains two Nissan Leaf battery packs to provide auxiliary power for rescue missions, making it equipped to face any kind of Brazilian terrain from the jungle to the mountains even in the darkness. 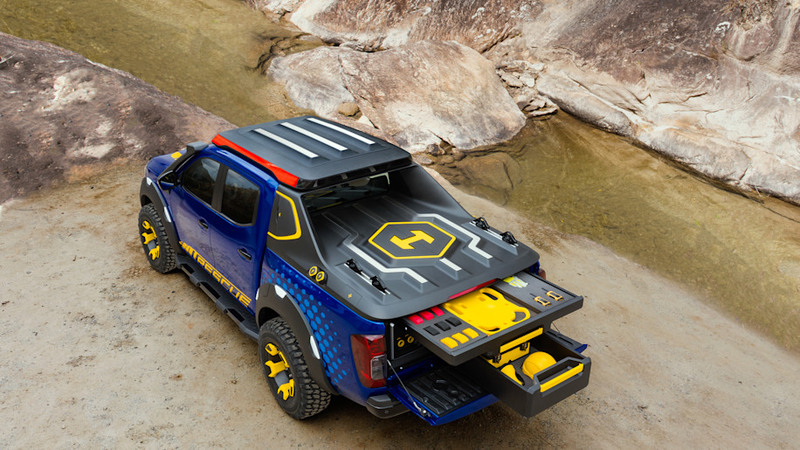 In addition to the battery packs, the custom cargo bed features drawers for mountain rescue gear such as ropes, axes, flashlights, toolboxes and so on — and the top of the cargo area has a helipad for a search drone. 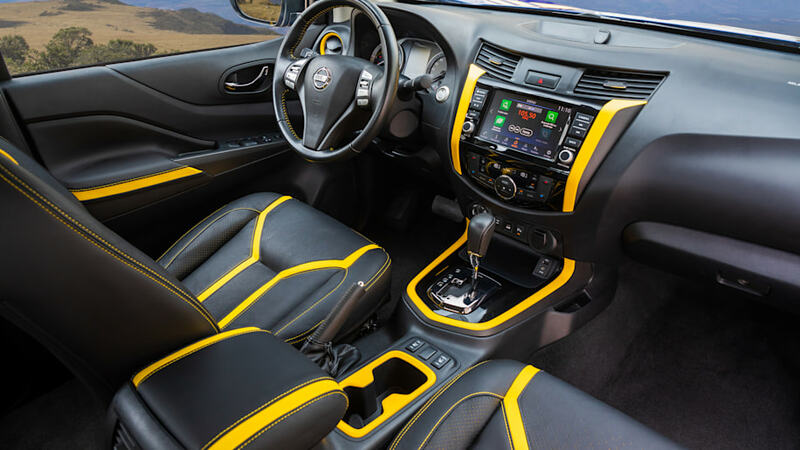 As for the color scheme, Nissan says it was inspired by a South American parrot species called the hyacinth macaw. Certainly, the Frontier Sentinel looks like it could star in a sci-fi movie set in South America — there's a bit of The Lost World Mercedes ML-Class style about it. The knobby tires and bulky wheels add to the sci-fi epic merchandise truck look. The custom Frontier seen here is based on the newer truck generation than what's available on the U.S. market: the North American Frontier will still feature 2005-vintage bones for 2019.